Enjoy playback of your CDs and NTSC and PAL DVDs with the Impecca DVHP9109 Multi-System / Multi-Region DVD Player. In addition to CD and DVD playback, you can show JPEG files from compatible USB drives. The DVHP9109 features component and composite video outputs, plus a digital coaxial audio output to provide multiple connection options for your display and audio system. 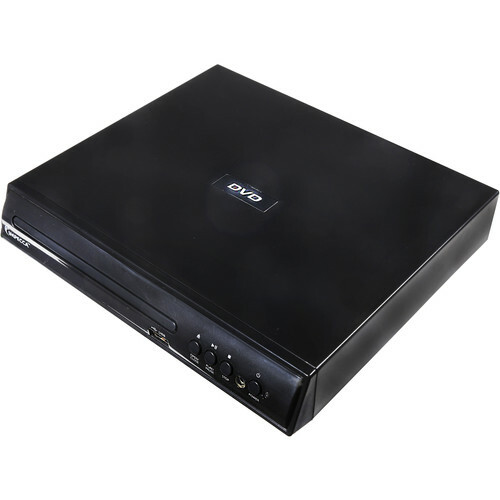 Box Dimensions (LxWxH) 9.8 x 9.6 x 3.2"
DVHP9109 Multi-System / Multi-Region DVD Player is rated 5.0 out of 5 by 1. Rated 5 out of 5 by Crumpley from Perfect Solution To A Unique Problem The only DVD Player that can connect to televisions that can only accept component inputs. It works perfectly!